In today’s society, a common misconception is that the sole definition of sustainability is the ability to preserve natural resources for future generations, which accurately describes environmental sustainability. 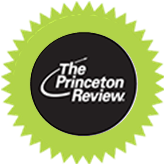 But sustainability as a whole also includes equity and social components, such as financial and employment security, fair compensation, labor rights, social justice, cultural diversity, community enhancement, human rights, education, quality of life, environmental justice, interaction with the natural world and preservation of the environment and aesthetic resources. As a leader, we are chosen by a diverse community to represent its members and serve as their voice. Whether you are a leader on the student, local, state or even federal level, you must effectively balance and integrate economic, equity, and environmental matters. Sustainable leaders utilize these principles as a tool to sustain these valuable facets of life at the short and long term extent. The 2015 Leadership Summit will give you the toolbox to develop and implement sustainable leadership practices within your campus organization and local community. We have invited local leaders from the University at Albany and broader community that address these issues on a daily basis. 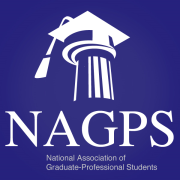 They will recount their own experiences and provide the necessary tools and strategies used to approach various dilemmas pertinent to graduate student leaders such as transition and change, institutional memory, high turnover, social justice, employment concerns, international student concerns, and legislation. Our final workshop will discuss various ways to implement positive change in your campus organization by effectively organizing a group of individuals, building rapport with your administration, networking with other groups on and off campus, and advocacy. The purpose of our breakout sessions are to facilitate discussions about current dilemmas that graduate student leaders and organizations are facing. We are requesting feedback from attendees during registration in order to tailor scenarios specific to their organizations. At the end of each breakout session, all of the groups will come back together and discuss strategies and solutions for each scenario. 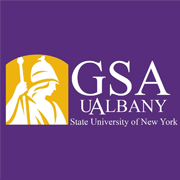 The summit is FREE for University at Albany graduate students. You can register here. 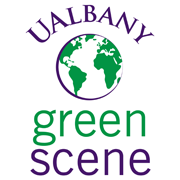 Please contact the Summit Director, Cassidy Drasser (cdrasser@albany.edu), for instructions for UAlbany student attendees.